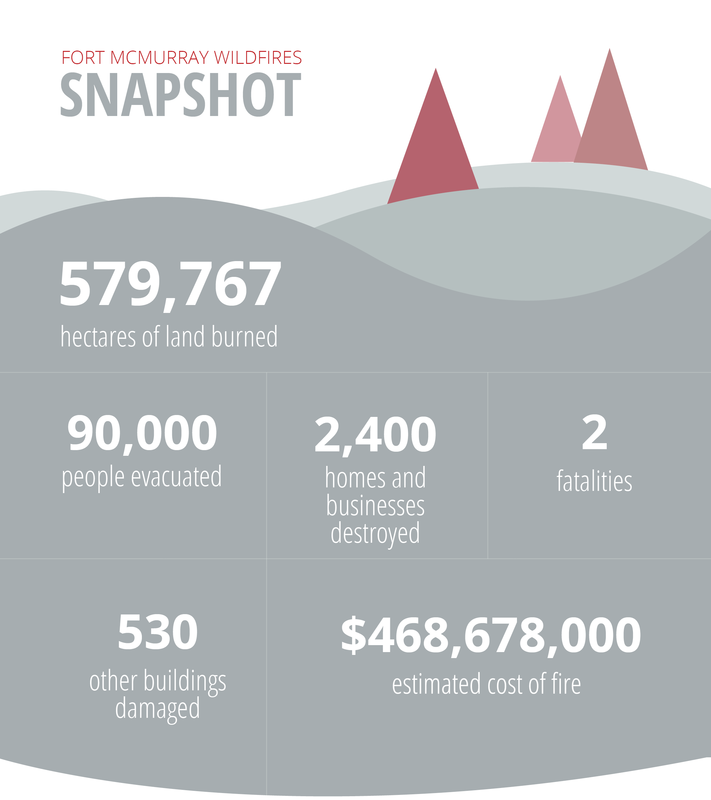 In 2016 the Fort McMurray wildfires resulted in the most expensive natural disaster in Canadian history. Between April 30 and June 1, 2016, a wildfire started north of the city and due to the hot and dry weather conditions, it continued to grow as it passed through Fort McMurray. In 2014, CIBC reported that a third of small business owners in Canada were not prepared for an interruption in their business. With 25%-45% of businesses not reopening after a disaster, having a contingency plan in place can be the difference between a business surviving or closing indefinitely. Small businesses have less financial resources available than larger companies and every hour of downtime they experience can result in crippling loss. In the event of a disaster, available capital goes towards restoring assets as opposed to business operations. In Fort McMurray, many of the small business that have survived so far, are reporting a slow recovery process a year later. There are challenges and risks associated with running a business and having a plan B for when something doesn’t go as expected should be a priority. A contingency plan should identify your risks and how to minimize loss. With statistics like “60% of companies that lose their data will shut down within 6 months of disaster,” you shouldn’t gamble with your company’s longevity even if a disaster is unlikely. No company operates risk free, when there are so many factors you can't control – like other people and the weather. However, everyone in the organization needs to be aware of the plan for it to be successful, because they likely have a role or responsibility if your plan needs to be activated. This is your company’s Plan B that addresses what is to happen in the event of the unexpected, also known as risk management. Unexpected events cover anything from a major disaster down to the loss of data or staff. A good contingency plan will address what you need to do in order to function at a minimum level. During your risk assessment don’t forget to look beyond your physical location and, if applicable, consider your other offices, company vehicles and remote staff. A contingency plan helps protect your business as statistically these types of events are crippling to most organizations, especially small businesses. A lot of the time it takes a back seat because you may be located in a low-risk area, or you’re too focused on plan A. So, if you don’t have one or haven’t reviewed it in a while, then you should move this task up your priority list. An effective disaster recovery solution requires not just a copy of your data, but also off-site infrastructure on which to run your business in the event of a disaster. At Whipcord, our backup and replication products through Veeam provide business continuity through high speed recovery in the event of a disaster. The cloud is a better alternative to storing your backups as it’s more cost-efficient and improves your security. At Whipcord, our service offers you protection against equipment failure, deletion of important data or a site-wide disaster. Fully integrated and secure, Whipcord offers a cloud-based disaster recovery solution that allows you to have a reliable replication solution and maintain control over your failover. Easily set-up and maintain a secure multi-tenant environment for hosting standby virtual machines.